On March 27th, the children's clothing upstart--Children's Children's Products Jiangxi Branch held an inaugural meeting in Nanchang. Mr. Li Mingchi, the general manager of the company, and Mr. Zhan Duantuan, the general manager of Jiangxi Branch, discussed the new children's affairs with many franchisees in Jiangxi. 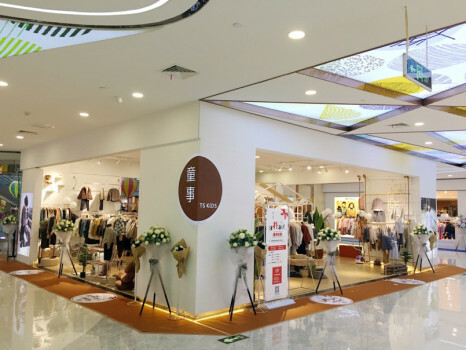 The expansion model of the retail model in Jiangxi. "Children's TONGSHI brand was born in the cultural capital of East Asia - 'Quanzhou', this long-established and open-minded and integrated culture of thousands of ancient cities has given her a return to simple temperament. 'Providing personalized choices for children's clothing' is a child The TONGSHI brand's focus and development momentum and initial focus, focus on creating their own style of clothing for each Mengbao, so that each Mengbao enjoys caring, enjoying happiness and enjoying growth in a safe, comfortable and rich clothing environment. Return. Inheritance. It is the attitude presented by the children's affairs. It does not need too much modification, does not need too much distraction, returns to nature, and is honest and honest. It is the advocate of the new generation of children's clothing, and it is the hope for the future of the next generation. Use the initial heart to explore and return to purity." General Manager Li Mingchi introduced. The children's TONGSHI brand belongs to the brand of Quanzhou Xiqing Garment Co., Ltd. It is a children's wear apparel enterprise integrating design, development, production and retail experience. The product covers a complete product line of clothing, shoe bags and peripheral accessories after years of precipitation and preparation. â€œTONGSHI is committed to providing pure, natural and fun enjoyment for children aged 3-10! In 2016, we established design studios in Zhejiang and Guangzhou, and we are committed to creating a life that reflects our lives with simple and meticulous craftsmanship. 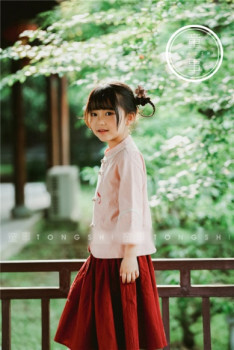 With the values â€‹â€‹of peace and harmony, the diversified combination without losing the classic dressing concept and costume culture, TONGSHI children's affairs have won the love and attention of many children and treasure parents!" General Manager Li Mingchi said further. 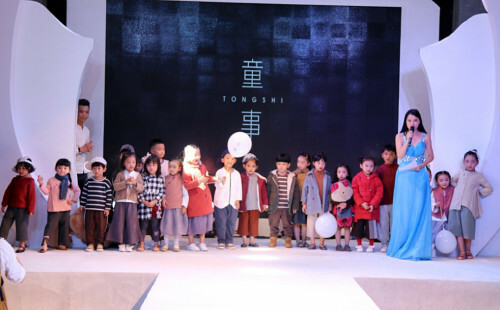 The unique product style and product series have made TONGSHI children's affairs popular with many children's physical training institutions and performances in China, and have become the designated special children's wear brand. The children's TONGSHI designer introduced us: "Children's TONGSHI currently has two series of national wind series and Mori series. Among them, the children's TONGSHI national style series, the product style adheres to the natural, returning and simple design concept, and uses a large number of imported fabrics. Combining with the current mainstream and introducing the traditional national style, the children's TONGSHI is closer to and feel the meaning of traditional culture in the process of making the wide and medium-sized friends enjoy the comfortable mainstream! It is loved by friends of all sizes and treasures!" 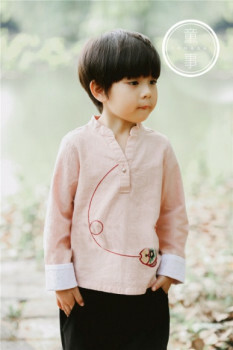 "Children's TONGSHI Sen series is another product style of the children's brand. The use of a large number of custom fabrics allows the baby to enjoy a unique brilliance. And choose the most popular style design of Japan and South Korea, from fabrics, styles, color combinations, matching The perfect combination of the children in this series has become the 'urban baby' who leads the fashion trend. It reflects the unlimited geographical area, and is not limited to the environment. It only pursues personal sweetness. The attitude of all parties is the child's attitude TONGSHISEN The definition of the series, no matter where and what environment is the focus of attention." The designer then introduced us. 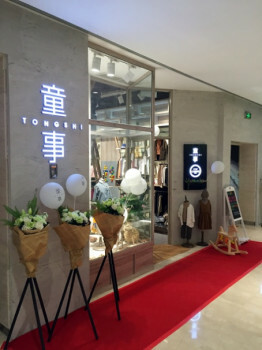 "Children's TONGSHI adopts a new retail model, pursuing the minimization of inventory control and maximizing the benefits of the channel, so that each of our dealers can open the business, preferably the main task of our current company, only the franchisee Our business is good, the brand can continue to improve and develop." When it comes to market expansion, General Manager Li Mingchi introduced this. Children's TONGSHI children's products have been co-operating with some major cities in China, such as Wanda Plaza, Taihe Plaza, Baolong City Plaza and World Trade Plaza. 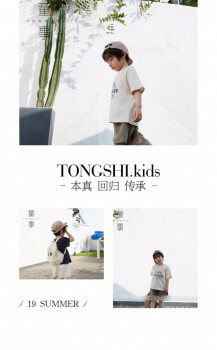 The comfortable, open shop environment, trendy and distinctive product style make the children's TONGSHI the leader in the sales of children's wear in these stores. â€œProducts are the basis of sales. Based on our efforts to grasp the product style, we have adopted a new retail model â€“ using the channel model of the branch and the headquarters, and carefully controlling, observing and researching each single store from the data. The sales situation is to maximize the efficiency of each store, and to ensure that each franchisee realizes zero inventory management through data analysis. Only by doing business, our brand can achieve real and stable development." General Manager Li Mingchi introduced.